It should come as no surprise that users now consume more online content on mobile devices than ever before. In 2016, over 4.5 billion people owned a mobile phone. This is set to increase to over 5 billion by 2019. Adapting to this rapidly expanding digital trend of responsive websites vs mobile apps can sometimes be quite daunting and confusing. A mobile friendly website can be a cost effective marketing tool and, if built correctly, will be compatible with all visitor mobile devices. It can be the perfect introduction to your business; and you never get a second chance to make a good first impression. This article aims to highlight the key differences with responsive websites vs mobile apps. If you are running a business or building a brand and are re-assessing your mobile strategy then hopefully this article will put you on the right track. On the face of it, both can look quite similar. They both provide a mobile friendly user experience and online presence. Subtle differences can be seen in the specific features and functionality of each. Before getting into which may be best for you, we need to first understand the differences between the two. Responsive web design utilises HTML combined with CSS media queries to display content in a user friendly and legible format on all devices. This applies whether the viewer is using a desktop, tablet or smartphone. In essence, a responsive website will adapt to the screen size. It will then display the content in the best format possible for the device being used. Many businesses have already moved from a non-responsive to responsive website in order to improve website SEO and provide an enhanced user experience. You can view a mobile friendly websites on a standard web browser without any prior setup. They are easily updated with fresh content, and bug fixes are quickly deployed. Responsive websites are also cheaper to develop and the overall timeline to launch can be relatively short. There is also a greater brand visibility and increased website traffic since mobile-optimised websites are ranked higher by Google than non-optimised. You will need to connect to the internet in order to download the information. Websites can sometimes be slow to load on poor connections and they also lack some of the features and functionality that can be provided on native mobile apps. Unlike responsive websites, mobile applications provide a feature-rich and clinical solution to a mobile strategy. They are custom built for specific mobile operating systems. Mobile apps also take full advantage of the device’s features and functionality. You will obviously need to download and pre-install a mobile app before use. Mobile apps have the advantage of being easily accessible, both online and offline once installed. As well as increased functionality and brand recognition, mobile apps also provide better performance and improved security. With these additional features comes an additional price tag. Native app development is a complex field and has a resultant high cost in both time and money. Updates and bug fixing can also be quite costly and slow to roll-out. 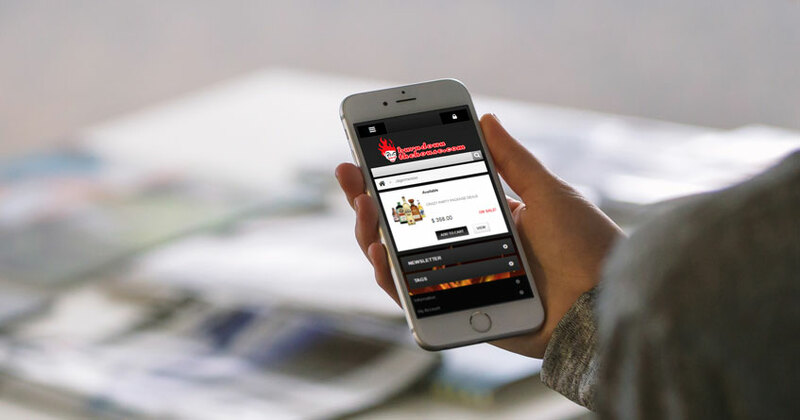 Both responsive websites and mobile apps have their own distinct advantages and disadvantages. Ultimately, it’s all about choosing the right tools for the job. One point to note is that when faced with a new product or brand, consumers will first search on a web browser and are less likely to directly download an app for information. Basically, a website is the primary way to initially showcase your brand identity and attract new customers. To help you with your decision as to which option may be best for you, think about how often users would actively use your app. Do you need to make use of phone features that cannot be accessed via a website? Do you need to build customer loyalty or boost engagement via push notifications? If you answer Yes to any/all of these questions then a mobile app may be the way forward for you. While considering the extra features that a mobile app can provide; you must not forget the added resultant time and cost for development. In our humble opinion, having a responsive website is a must-have for every business or brand. The choice to also launch a mobile app is down to your own business goals and the end user experience that you would like to deliver.